A new era of aviation safety and efficiency started this month when, for the first time, air traffic controllers can track the position of aircraft anywhere in the world. On 2 April a real-time tracking trial started over the North Atlantic using a space-based automatic dependent surveillance-broadcast (ADS-B) system. 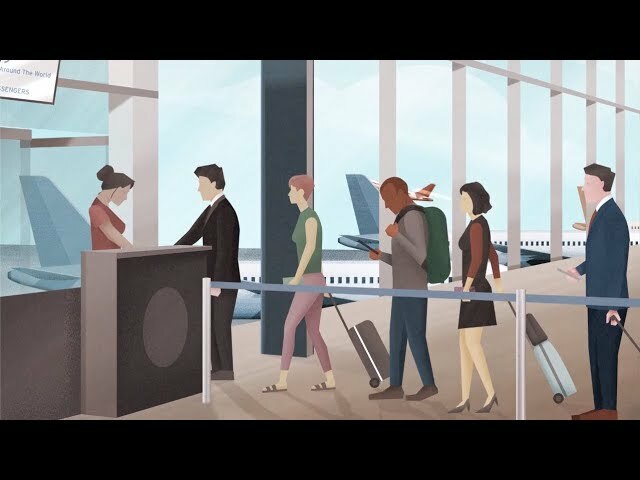 The technology, from Aireon, will enable airlines and other aviation users to precisely track the location and position of aircraft anywhere in the world, in real time. The system allows tracking of all ADS-B equipped aircraft on the planet. Previously traditional ground-based surveillance covered just 30 per cent of the globe, meaning updates on aircraft position occurred every 10–14 minutes outside of radar coverage. With 70 per cent of the world not covered by ground radar, this is a huge advance. Aircraft equipped with ADS-B capabilities can now stream their exact position, including altitude twice per second, wherever they are in the world, to a network of 66 satellites. The Aireon system is expected to reduce overall flight safety risks by approximately 76 per cent in the North Atlantic according to a joint analysis by Nav Canada and its UK equivalent NATS—the first air navigation service providers to use the system. Improved visibility and control over previously unmonitored airspace—especially across oceanic regions—will allow airlines to fly routes at optimal speeds and levels, delivering expected cost savings of up to US$300 ($A420) per transatlantic flight, plus reducing carbon dioxide emissions by two tonnes per flight, based on an analysis conducted by NATS and ICAO. With the exact position of the flights constantly updating, controllers can reduce separation distances from 40 nm to as little as 14 nm, meaning more aircraft can share the airspace at the same time. This will help with the huge predicted growth in flight numbers in the coming years. What a breakthrough, two years ago a friend of mine flew his RV-8 around the world, automatically reporting his position altitude and speed, every ten minutes (could have done it every minute) via an InReach Explorer satellite communication system. Total cost $175 for the handheld unit, and 15 cents per report. Good to see the airlines are on the cutting edge of technology!!! This is great. All we need now is AI integrated to it and voila no need for ATC. That’s the future. Pathetic! We put men on the Moon 50 years ago tracking it all the way using INS a now outdated system yet we couldn’t track MH370 in one of the busiest parts of airspace over the planet! Now they decide to do this?